Through his music, Chicago musician Carlo Basile has tried to show that we are all connected to each other. His group, Las Guitarras de España, and members of the ensemble Surabhi (founded by Saraswathi Ranganathan) will present an evening of music featuring the shared cultural history from medieval Andalusia to the present. The performance will include original and traditional repertoire with Spanish guitar, Arabo-Andalusian poetry and music by Ronnie Malley on oud and harmonium, as well as Rajasthani folk dance by Kinnari Vora and flamenco and Mid-Eastern dance by Marisela Tapia. The show at 8 p.m. Feb. 21 at City Winery Chicago, 1200 W. Randolph St., Chicago, will kick off the Chicago Flamenco Festival. Tickets to the show are $25, available by going to City Winery Chicago's website at www.citywinery.com. Q - Great talking to you again. Of course, "The Andalusian Trail: The Roots of Flamenco," kicks off the Chicago Flamenco Festival. How did the idea for the concert come about? We did a performance of the “Andalusian Trail” at the Instituto Cervantes in October of 2016 (over 2 evenings) and it went well! So, we decided to present a version of this work again at City Winery for the 2017 Chicago Flamenco Festival (again with the support of the Instituto Cervantes). Q - For people who come to the concert, what would you like for them to get out of experience? Hopefully, the audience will gain a deeper understanding of the many connections which exist between the music of Andalusia, Spain and places like India, Iraq, Syria and Africa. Q - What does it mean to you to have such a festival right here in Chicago? Do you think a festival like this one can help bring about cultural awareness and understanding? It’s great to have this festival in Chicago but it’s really a reflection of the many cultures which have existed in the city for some time. Yes, we are all connected, and hopefully, this type of festival reinforces that. Q - Are there any artists that you are looking forward to seeing at the festival? 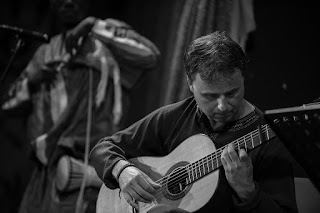 Yes, Josemi Carmona is a legendary guitarist from the flamenco group Ketama. That program on 3/14 at the Instituto Cervantes should be great! Q - I know you have previously worked with both Ronnie Malley and Saraswathi Ranganathan. Why do you think you work so well together? Well, between the three of us, we can cover a lot of musical ground! Indian, Arabic and Spanish guitar music traditions form the foundation for our work. Plus, we all seem to like being with each other too! Q - Has Las Guitarras de España lived up to the vision that you had for it when you founded the group? What's next for the group? Most certainly, Las Guitarras has provided me with a means to study, travel, perform and collaborate with some awesome artists from all over the world. I know that’s kind of a narrow perspective, but that’s really all I ever wanted from the ensemble. But, hopefully, we have made some folks happy with our work along the way too! I would like to keep working with this "Andalusian Trail" theme because there is much more to explore! Q - It seems like you are always working on a new project. Are you looking to take on any new projects this year? We have plans to make a new video and write some new pieces. I am also hoping that we can submit to perform at festivals in India, Africa and maybe Cuba. Let’s see! Paramount creates mesmerizing version of "Sweeney Todd"
Paramount Theatre's spectacular version of "Sweeney Todd" will make you forget all other versions of Stephen Sondheim's famed musical. For those not familiar with the story, "Sweeney Todd" is a dark comedy revolving around an English barber who murders his customers with a straight razor and, with his accomplice Mrs. Lovett, processes their corpses into meat pies. Obviously Paramount Theatre artistic director Jim Corti - who directs and choreographs "Sweeney Todd" - knows what it takes to put on a production. Corti staged last season's Jeff winning best musical "West Side Story," and received a 2015 Jeff Award for his direction of "Les Misérables," which also received a Jeff Award for best musical. 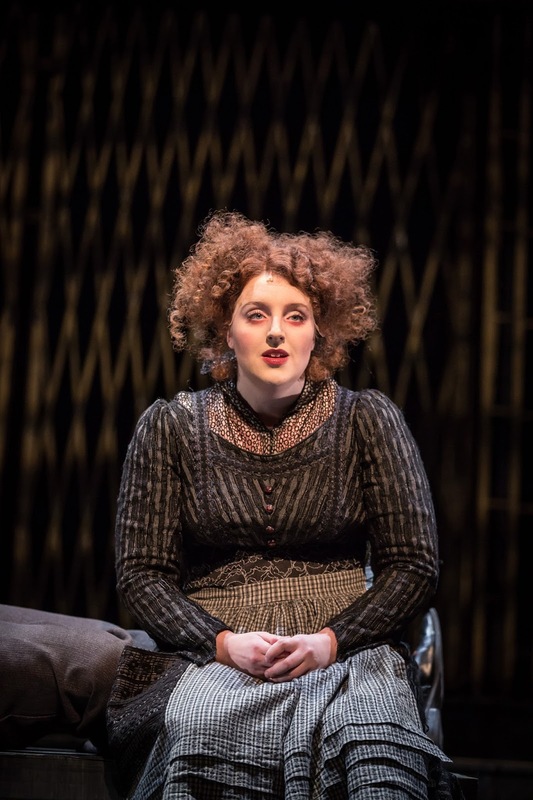 Starting with the piercing scream in the production's opening scene, this version of "Sweeney Todd" is full of raw emotion, pulling in the audience in hypnotizing fashion. Corti has chosen the perfect cast for "Sweeney Todd," starting with Paramount newcomer Paul-Jordan Jansen in the title role. Along with being an incredibly gifted singer, he brings a manic intensity to the role. Another Paramount newcomer, Bri Sudia, is also perfectly cast as the devilish and sassy Mrs. Lovett. She has the comedic deftness required for the role and it is a joy to see Sudia and Jansen interact with each other on stage. 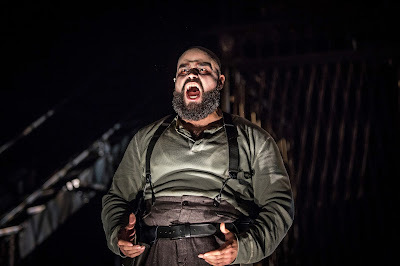 There are plenty of other standout performances in the production, including Matt Deitchman's hilarious take as Adolfo Pirelli, a rival barber to Sweeney Todd. Cecilia Iole, another Paramount newcomer, is enchanting as Johanna, the love interest of the aptly named character Anthony Hope, who remains optimistic despite the circumstances in front of him. Patrick Rooney, who previously could be seen in "Les Misérables," shines in the role. Stunning scenery is a hallmark of any Paramount production, and that remains the case here, including an inventive depiction of how Todd carries out his murderous acts. "Sweeney Todd" will run through March 19 at the Paramount Theatre, located at 23 E. Galena Blvd. in downtown Aurora.